With a foot section that weighs just 19 kg (42 lb.) 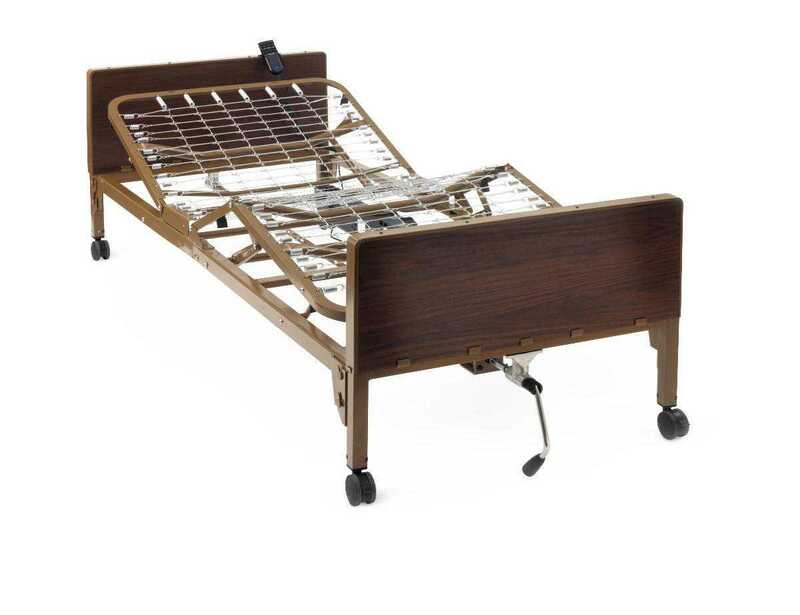 and stays in position with two locking casters, these light beds are easy to transport. The split-spring construction provides support for any of our mattresses. The recessed headspring and foot supports prevent pinching injuries. The convenient DC motor box snaps off quickly, making delivery, setup, and routine maintenance easier, and a space for 9V battery back up allows movement to the lowest bed position during power failures. Ordering information: These beds include a five-year manufacturer's warranty on electronics and mechanical components. Batteries are not included.